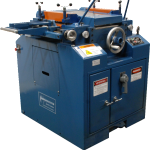 All of Gauer’s mechanical edgers are made in the USA and adhere to the strict guidelines that Walter Gauer had set many years ago. 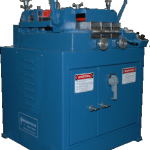 These mechanical machines can produce a high quality flat bar product at a low cost. The GauerBuilt Safety Edgers can be found throughout the world. Gauer has edgers installed in North America, South America, Europe, Africa, Asia and Australia. Doing business globally has been a Gauer tradition since the 1950’s and remains an important segment of the company’s business today. 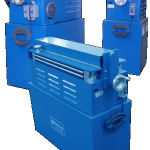 Whether you are working with Gauer domestically or internationally, you can be assured a professional experience.